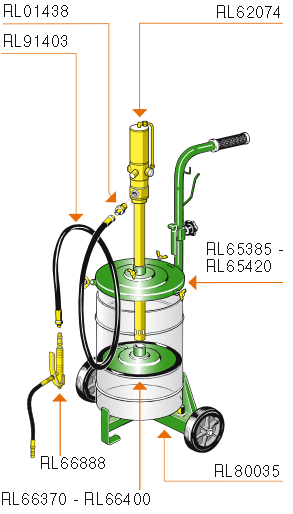 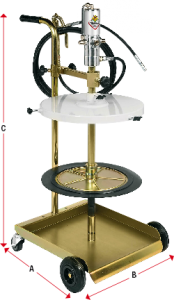 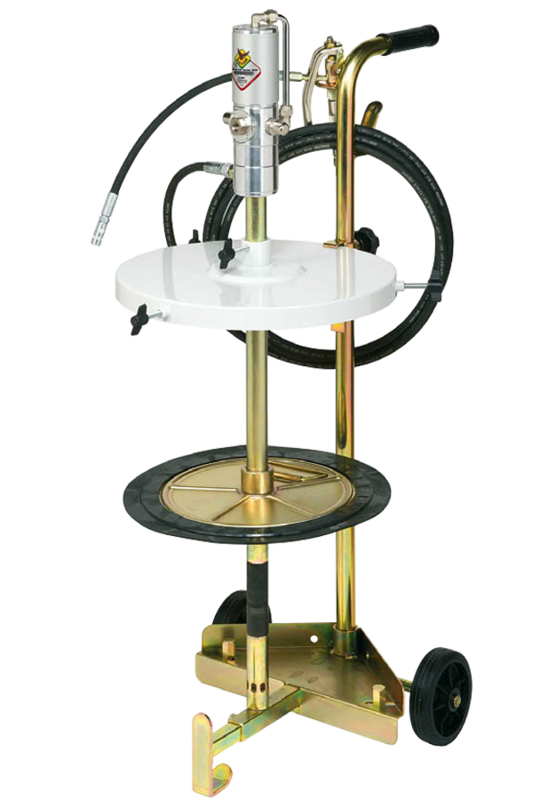 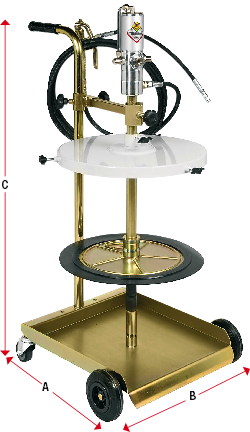 Mobile grease dispenser kits, the ideal complete solution for dispensing grease from 50-60kg drums. 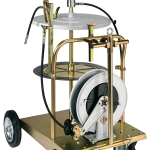 The easy to handle trolley comes complete with 2 fixed wheels and a pump support. 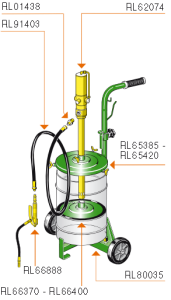 Dispensers come with a Series 600 50:1 pump, which is capable of 1500 g/min, and the option with or without a follower plate. 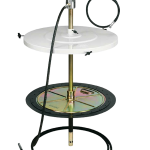 All parts that are available to be purchased separately can be accessed by clicking on the relevant part number.